George the beloved tortoise died at age 100 and was the last of his kind. He was a Pinta tortoise that will be missed by animal lovers. Luckily geneticists have been able to publish his genome to study longevity, immunity, and cancer resistance in humans. To properly analyze the DNA, researchers sequenced the DNA of another species of tortoises, the Aldabrachelys gigantea for comparison. 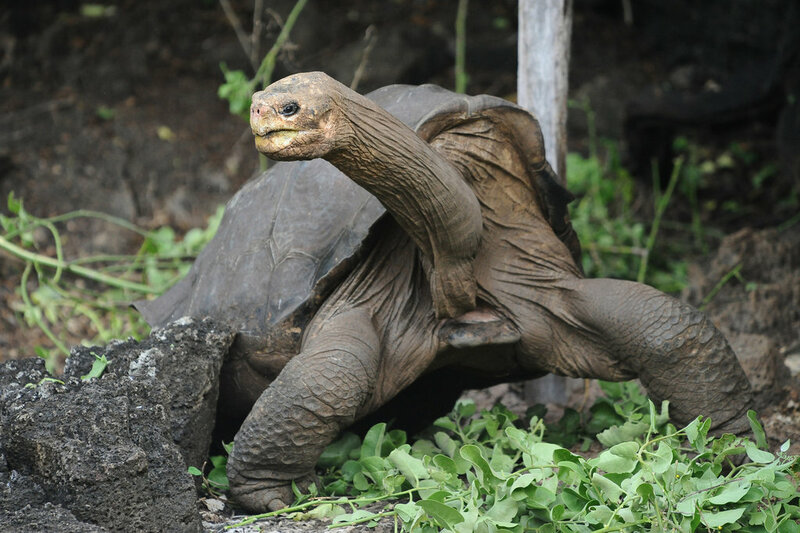 The study found that the same genes for longevity in humans are the same for tortoises and that throughout the years environmental factors favored genes associated with longer lives. Also these reptiles had duplicated immune system genes, tumor suppressing genes, and genes for DNA repairs. Overall, multiple genes are responsible for longevity. Tortoise populations has been in decline prior to human encroachment. The effects of living on a geographically isolated island such as the Galapagos Island, have limited the gene pool and decreased genetic diversity. Also the tortoise is known as a k reproductive strategist meaning less fecundity and longer maternal care for the offspring. Very few factors including longevity were in their favor. But humans exacerbated their decline in the 1800s through “tortoise harvesting”- they make a nice snack! Our exploitation of their meat of an already vulnerable population led to their drastic decline and extinction. Everywhere the human population goes, we wreak havoc on native species. But rather than accept our destructive nature, we are learning from it through science. And the timing is too perfect. I recently read an article reporting that the US life expectancy has dropped to 78.6. Finding a way to increase longevity is especially imperative nowadays. If we can study tortoise DNA from all over the world and can obtain an extensive and holistic database of it, then maybe we can address this problem. I couldn't agree with you more Erika. Where humans go, they wreck havoc on native species. Ultimately, we'll be paying the price. Science can teach us a lot, we just ignore that facts that sciences shows; it'll be too late when we realize what we've done if we keep continuing this way. Really interesting article however! Good job! I remember a teacher bringing up George the Tortoise in another class. I had no idea he recently passed away but it is good to know that he lives on through science. Can not wait to see what they find while studying his genome, Great Article!